• How is Sensi-Care Sting Free Adhesive Releaser supplied? • How Is Sensi-Care Sting Free Adhesive Remover wipes supplied? • Do The Releaser And Remover Contain preservatives, Fragrances or latex? No, they are a blend of 100% silicone ingredients. • Are the Releaser and Remover flammable? Yes, but the propellant used has been specially selected to be non-flammable and the product is less flammable than many domestic aerosol products. •How long will a can of Adhesive Remover last? 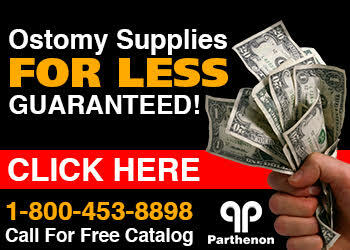 Many ostomates who use a one-piece ostomy product will use a can per month. •How does the Adhesive Remover work? The fluid is designed to track readily between the adhesive and the skin, creating a layer of silicone. Silicone is a release agent, so the adhesive falls away from the skin. The silicone then evaporates in seconds, without affecting the adhesive or the skin, so the same adhesive can be re-stuck (if required). • Is the Adhesive Remover available in a screw-cap bottle? No, the formulation is that it must be kept in a sealed container. If an aerosol spray is undesirable, the releaser can be sprayed into the cap and then poured around the adhesive or you may use the remover wipe. • Are the Releaser and Remover biocompatible? Yes, they are both manufactured from a blend of silicones, the safety and biocompatibility of silicones is well understood and widely published. • Will the Releaser Or Remover sting? No, the formulation is a 100% silicone blend. Silicone blends do not sting on application, even on sore skin. • I have sensitive skin. Can I use both the Releaser and Remover? Sensitivity to silicones is extremely rare. It is used in many areas of healthcare including dentistry, topical and oral medications, advanced wound dressings and many beauty products (moisturizers, shampoos etc). Both the Releaser and Remover are hypoallergenic. • Can I spray the can horizontally? Yes, but only briefly. The can contains a special valve that enables inverted spray, but continuous horizontal spraying will exhaust the propellant prematurely. • I have a stoma and my skin is irritated underneath the wafer. Can the Releaser and Remover help?